In honor of the historic contributions of the Durban Declaration and Program of Action (DDPA) to the struggles of African and Afrodescendent peoples', the US Human Rights Network (USHRN) is hosting a four-part educational series linking the Year of People of African Descent with the ten year commemoration of the World Conference Against Racism, Xenophobia and other related Intolerances, also known as the WCAR or the Durban Conference. Despite the gains of the national liberation movements in Africa and the Caribbean, and the Afrodescendent social movements in the US, Latin America and Europe, Africans and Afrodescendents continue to suffer from the structural legacies of colonialism, imperialism, and white supremacy throughout the world. In many parts of the world, anti-Black or anti-African racism and racial discrimination are on the rise and are steadily eroding the social gains won by African peoples' after the second world war. This educational call focuses on four critical flashpoints of struggle confronting people of African descent in the US, Latin American and throughout the world, with a specific focus on the adverse impacts of US foreign and domestic policy in promoting and sustaining racial inequities. 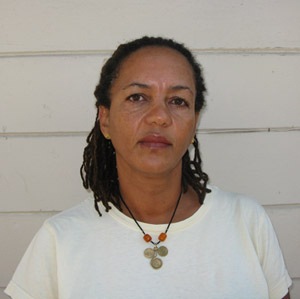 Nunu Kidane is an Eritrean, currently the director of Priority Africa Network (PAN) in Oakland, CA. She's worked on Africa development policy issues for over two decades, written and spoken on HIV/AIDS, debt cancellation and economic justice as well as the global migration. PAN was established in 2003 on the foundation of the anti-apartheid struggle of previous decades. It operates two programs 1. Africa advocacy under reframed new agenda and 2. Working and mobilizing African immigrant communities in the Bay Area and nationally. For more information visit http://www.priorityafrica.org/index.html. Pierre Labossiere is a Haitian, and a leader of the Haiti Action Committee based in the San Francisco Bay Area of California. The Haiti Action Committee has been an ongoing leader in the fight against the 2004 Coup against the Aristide government and the ongoing occupation of the island nation by the United States, France and Canada largely under the aegis of the United Nations. For more information on the Haiti Action Committee visit http://www.haitisolidarity.net/. 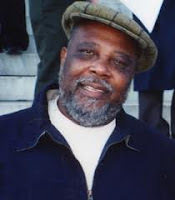 Saladin Muhammad is an African American, and a founder and leader of the Black Workers for Justice based in North Carolina and an organizer for the United Electrical Workers (UE) Local 150. He is a leading national advocate within the labor movement to define workers rights as human rights. For more information on the Black Workers for Justice visit http://blackworkersforjustice.org/.